The Playpower Foundation (Playpower.org) is a non-profit organization composed of individuals from India, Ghana, Brazil, Canada and the USA. Their largest working group is based in San Diego, at the California Institute of Telecommunications and Information Technology, at UC San Diego. Playpower began at MIT, during the International Development Design Summit (IDDS) in the summer of 2008. The Playpower Foundation seeks to improve education around the world by using $12 “TV-Computers” as a platform for radically affordable learning games that can teach skills like math, grammar, typing, critical thinking, computer programming, and more. Developing a skill as basic as touch-typing can be economically transformative. In the developing world it can make the difference between earning $1/day, as a rural farmer, and $1/hour, as an office worker. Similarly, children that learn computer programming skills have incredible opportunities to make economic and social transitions. 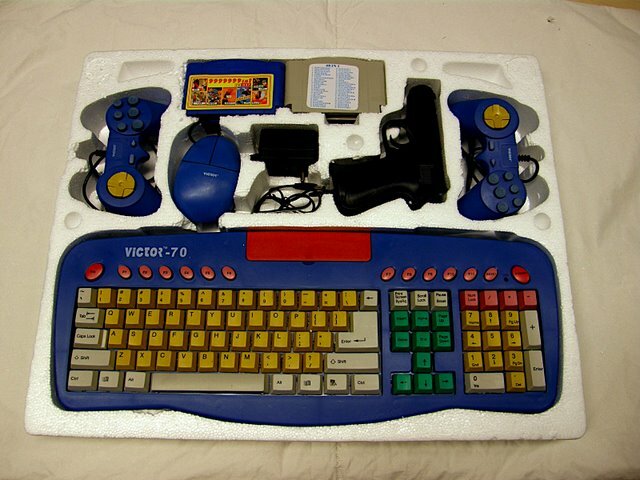 As a platform to teach skills such as these, the Playpower Foundation is advocating the use of an 8-bit TV-Computer (TVC), which is commonly sold with a full keyboard and a mouse, as well as cartridges containing software for typing instruction and learning BASIC programming. New TVCs are already being manufactured at a large scale and are sold at retail for as little as US$12. 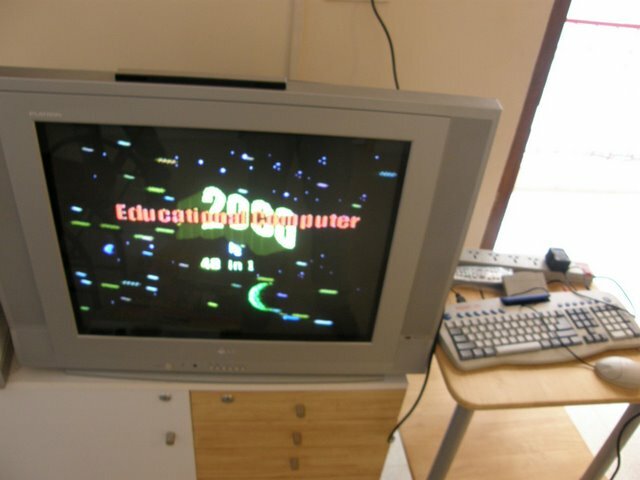 This low cost is due to the use of a preexisting TV as an external display and the employment of a computer processor that is now in the public domain - the MOS 6502, used in the Apple II and the Nintendo Entertainment System (NES). Playpower's goal is to enhance the educational value of the TVC by introducing a core suite of high-quality 8-bit learning games. Furthermore, they are developing an open-source 8-bit game creation kit, to enable the design of region-specific content by individuals around the world. Computer-Aided Learning (CAL) is a solution that shows great promise as an effective mechanism for improving education in developing countries, particularly as an outside supplement to classroom learning. Once developed, CAL software can be scaled quickly and without great expense, while still providing a consistent instructional environment. Since there is a general skepticism about the role of CAL in developed countries, where it must compete with highly trained teachers and a wealth of traditional educational media, it should be noted that when CAL is implemented in developing countries, the educational benefits may be far more noticeable. 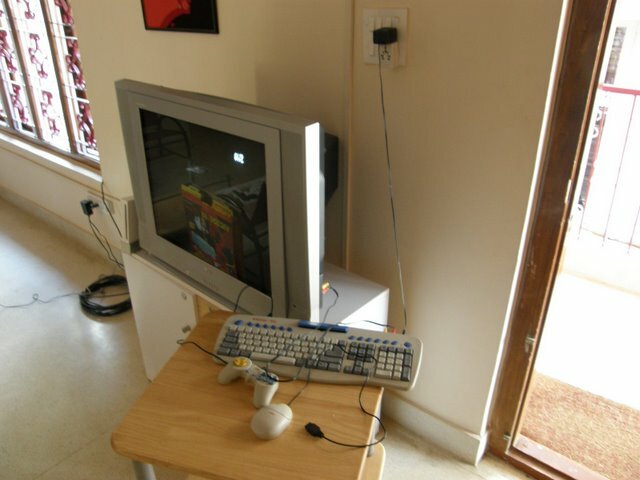 "The $12 computer," as labeled by the press (Phillips, 2008), is a keyboard, mouse, and 1Mhz processor that connects to a TV screen. 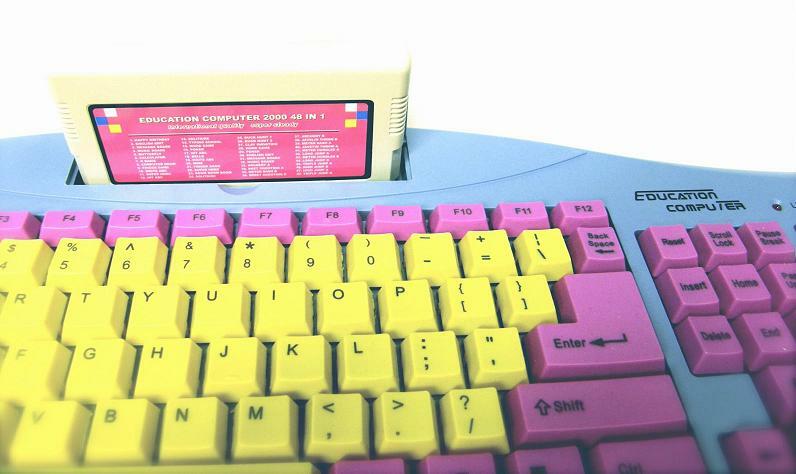 The keyboard, a self-enclosed unit that contains the processor and video card, has a “cartridge slot” that accepts plastic-encased chip cartridges. Cartridges use the 1980's era 8-bit Nintendo Famicom (Nintendo Family Computer) cartridge form factor, and a single cartridge can contain hundreds of software titles. This platform already serves as the basis for affordable computer-aided learning for millions of people around the world, and the Playpower Foundation intends to support this by ensuring that high quality CAL software is made available for this machine. The primary pragmatic reason for selecting the NES/Famicom architecture as a platform for affordable computer-aided learning is that the platform has been massively successful over the past 25 years, and as a result, it is still being broadly manufactured today. For years, dozens of manufacturers competed to produce illegal, pirate versions of the Famicom at low costs (manufacturers did not have a license to manufacture the device). As the original hardware patents have since expired, we can now leverage this mature and cost-efficient manufacturing ecosystem and distribution network for global education. 8-bit games have substantial limits on their expressive qualities and interaction affordances. However, by designing learning games that induce social interactions, the power of the game can extend outside the screen. Playpower.org is specifically interested in designing games that yield participatory learning environments to support cooperation, competition, and conversation among both game players and observer-participants. They hope to design learning games that generate social learning experiences by engaging groups of friends and family—groups that already typically congregate around household televisions. This will extend the educational reach of the platform beyond individual users and into wider networks such as neighborhood peers. It will also use the social context to support the individual's learning process. These types of social learning experiences may be easier to generate around TVs than around PCs or Laptops, which is an additional benefit of the form factor of the platform. Social factors have long been used to motivate advanced game play (i.e. "High Score" leader boards) and they wish to evaluate the impact of these factors on motivations to excel at Computer-Aided Learning games. Games can provide incentives for skill development by producing valuable social capital at high-levels of performance, such as through unexpected and exciting game changes at advanced levels, secret content, or even by providing elements of Alternative Reality Games (ARGs). One hallmark of ARG design is the loose incorporation of mixed media such as websites, software, telephone networks, mail systems, and geographic exploration. While many 8-bit TVC users may have, at best, periodic Internet access via Internet cafes, educational engagement with real-world systems such as local transportation and communication systems might still be motivated by embedding ARG-like game elements into 8-bit ROMs. Experimental social learning games need to be evaluated for efficacy, but they may hold great impact, especially for target populations with unevenly distributed or sporadic access to a variety of services. 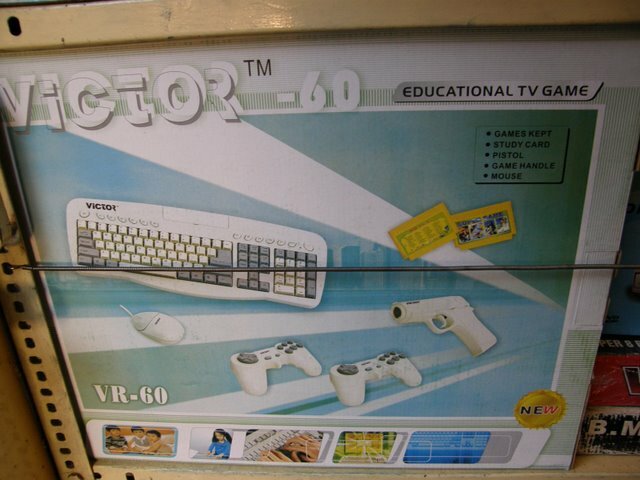 Many non-educational video games have been described as rich learning environments that support intellectual growth, just as puzzles and riddles have traditionally been seen as both diversions and intellectual exercises. Seymour Papert (Papert, 1998) and James Paul Gee (Gee, 2003) describe the game industry as a Darwinist ecology that has evolved a veritable treasure trove of interaction designs that support learning processes—because the nature of a game is to demand a user to develop specific skills and competencies in order to achieve success. In fact, the experience of “fun” in gameplay has been described as cognitive feedback rewarding the experience of learning itself (Koster, 2005). Games may require learning in order to play, but Ian Bogost has also shown that games can teach concepts and principles, through what he describes as "procedural rhetoric" (Bogost, 2007). In their “Values at Play” game curriculum initiative, Flanagan, Howe, and Nissenbaum take a related approach to analyzing how ethical and social values are both encoded in game designs and expressed through various modes of gameplay (Flanagan et al, 2005). Using the historical archive of NES games at the UC San Diego Game Libratory, Playpower hopes to identify a set of existing games that would best support a cognitively enriching learning environment. Thousands of games were developed for the NES/Famicom, and although all of these games remain protected by copyright (and would therefore require licensing for redistribution), some are certain to be of great value to a child’s development simply through the power of play. Serious Games Source reported this week the DML Competition Awards to the value of $2 Million granted to International Learning Projects. By putting $2 million in grants up for grabs, the John D. and Catherine T. MacArthur Foundation-run Digital Media and Learning Competition, has recognized that gaming can be a highly effective tool for teaching complex subjects. Competition winners were divided up into two categories: Innovation in Participatory Learning and Young Innovators. Among this year's winners in the Innovation in Participatory Learning category was "Playpower: Radically Affordable Computer-Aided Learning”. The Playpower Foundation is using an old game platform technology as the basis for a radically affordable approach to computer-aided learning. In adopting 8-bit hardware, they are also promoting the validity and value of early games and computing approaches in our age. Playpower is creating an accessible open-source software development kit (SDK) and building a global network of open-source developers. This will enable organizations around the world to produce and share customized, local learning games. They will publish these learning games within their open-source game library, where scientists, NGOs, and educators can participate in their modification and iteration. They are testing the efficacy of these learning games in local contexts, so that successful CAL games can be replicated at a large scale, reaching millions of children. Finally, they hope that this project will enable the world’s next billion citizens to participate and publish on the internet through their family’s television set.